You beef community colleagues are very appreciative of your CBB work and admire the commitment of you and your family! I have known your in laws and their children since the early 70’s. All started in 4-H. My great grandfather and grandfather raised Shorthorn in Berger. 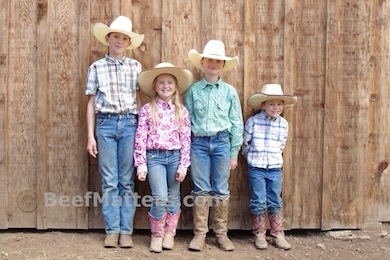 All of you are great stewards of the cattle industry and conservation. I enjoy your posts and in my opinion would like to hear more of your journey to promote knowledge of what really happens in the cattle industry throughout the US.